Do you have a child with a sensory processing disorder? Then you may have heard about the therapeutic benefits of weighted blankets for sensory kids. Children with sensory processing disorders find information coming in via the senses difficult to process and often have a sensitivity to common stimuli such as noise, light or touch. This can make it challenging to cope with the routine of everyday life, putting stress on the nervous system and over time, often leading to anxiety, fatigue and sleeping issues. Being tired and anxious is no fun for any child, or parent, and this is where the deep touch stimulation of a weighted blanket may help sensory children self sooth, so they can calm down independently and get better sleep. Let’s explore more below, including 3 recommended weighted blankets for sensory kids. This can manifest in kids (or adults) as an over or under sensitivity to everyday stimuli. So children with an oversensitivity tend to experience things like as noise and touch more acutely, whereas kids with an under-sensitivity often crave extra sensory input in the form of hugs, loud noises or fidget toys. For many children this sensory overload (or lack of) can prove very challenging to deal with. How can weighted blankets help sensory kids? 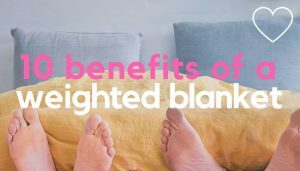 Heavier than a regular blanket, weighted blankets contain micro beads or poly pellets, which are sewn into and evenly distributed across the blanket, so they apply a gentle ‘hug’ like pressure on the user. Since a sensory seeking child tends to crave additional sensory input, this extra pressure may prove deeply comforting to their nervous system. Known scientifically as deep pressure stimulation, the extra pressure helps the brain to release chemicals like serotonin and dopamine – chemicals linked with relaxation and sleep regulation. 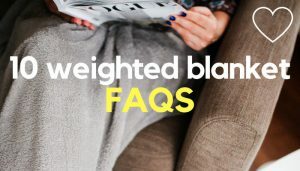 Will weighted blankets work for all kids with an SPD? A child with a sensory disorder, who is under responsive to touch, may benefit hugely from the added pressure of weighted blanket. Children who are over sensitive to touch, on the other hand, may find a weighted blanket over stimulating and want to kick it off. There’s no hard and fast rule here, as every child is different, so it’s often a matter of trying a weighted blanket and seeing how your child responds. Sometimes a child takes to one immediately. With others it can take more perseverance. Others simply don’t like them. 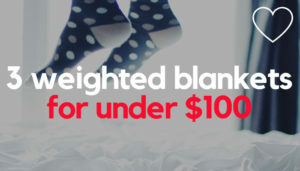 Borrowing a blanket first or opting for a blanket with a 30 day money back guarantee can be helpful here. Weighted blankets come in a range of fabrics and designs, but for sensory seeking kids, a minky dot weighted blanket often works well. They’re super cosy & the fabric features raised dots for extra sensory input. If your child is sensitive to heat though, a more breathable cotton cover may be more comfy. Keep in mind weighted blankets are not recommended for children under 2 and never for babies. It’s also important you never use a weighted blanket with anyone who can’t move the blanket off their body unaided. Here are 3 popular weighted blankets for sensory kids to try, with an emphasis on tactile minky dot fabrics and fun, sensory designs for little ones to enjoy. 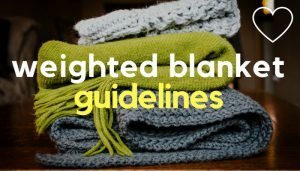 In terms of which blanket to go for, Harkla and Mosaic Weighted Blankets have a commitment to quality and serving the needs of children with sensory needs, which I personally really like. 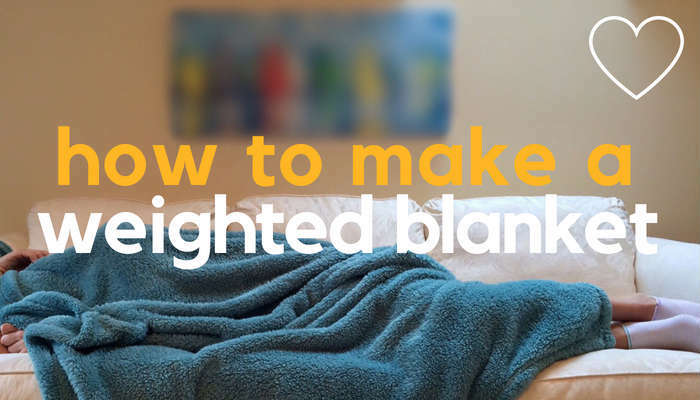 But if you find the blankets a bit pricey, Loved Blankets provide a well rated minky dot blanket for a lower price, but without skimping on design. Harkla make products aimed specifically at special needs children, which is reflected in their well rated weighted blanket designed with sensory kids in mind. Soft and comfortable, as well as easy to wash and dry, the dotted minty fabric on the blanket is great for little sensory seekers and popular with parents and kids alike. Whilst not always the cheapest blanket out there, they’re well made and you’ll get a Lifetime Money Back Guarantee. Available in 5, 7 and 10lbs. 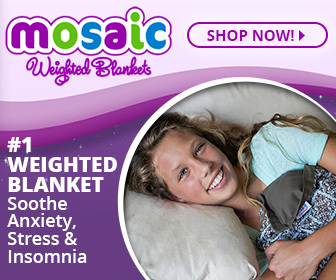 Mosaic Weighted Blankets offer one of the most extensive ranges of weighted blankets for kids around. All blankets are hand-made by seamstresses in Austin, Texas, with an emphasis on quality and workmanship. Blankets start at 5lbs, then increase in 1lb increments, which means you’re not restricted to the more standard 5, 7 and 10lb child weight brackets. You can choose from sensory Minky dot blankets, which come in a range of colours (suitable for boys, girls & teens) or cotton covers with a huge range of fun and colourful kid friendly designs. 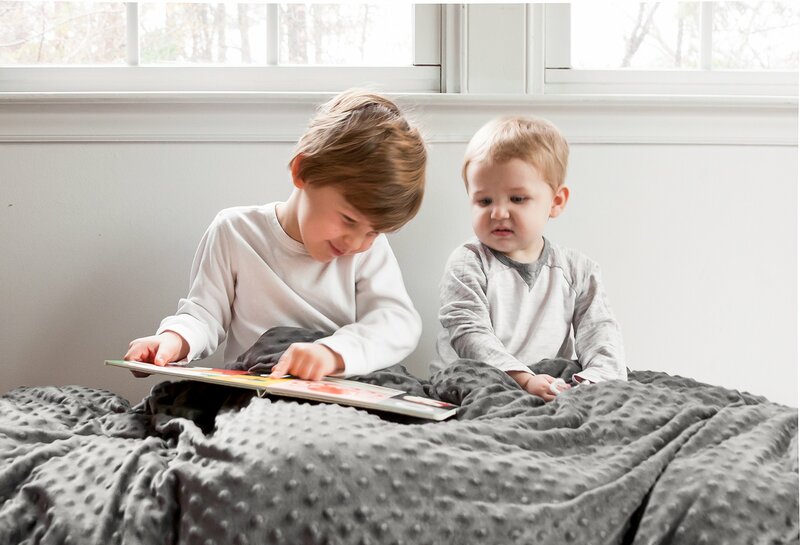 The Loved Blanket features a tactile, soft minky duvet cover, which is ideal for sensory seeking little ones. The blanket cover is also removeable and easy to wash.
Blankets are available in grey or blue and although they comes in cheaper than Mosaic or Harkla blankets, reviews suggest this is not at all at the expense of blanket quality or results. Available in 5 and 7lb sizes. 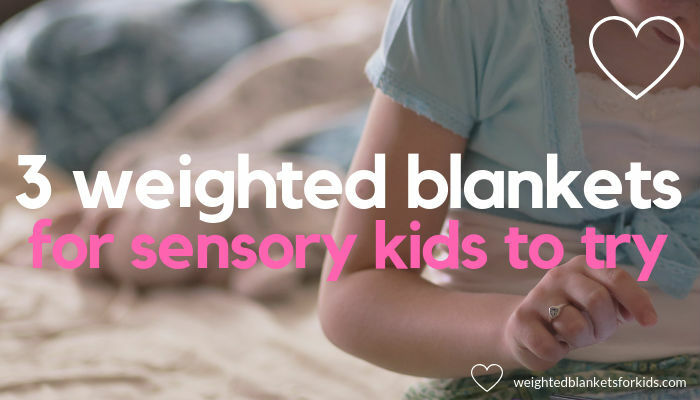 Some of the weighted blankets above aren’t always available in (or to ship) to the UK and Europe, which can be frustrating if you’re looking for a weighed blanket for your child – sensory or otherwise. So if this is you, check out Senso Rex – a UK based manufacturer of weighted blankets, who design a range of fun weighted blankets designs aimed specifically at children. Research suggests sensory processing disorders affect 1 in 20 children, with some estimates as high as 1 in 6 (source). 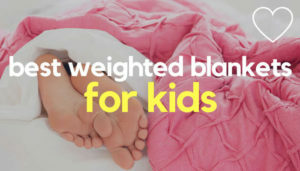 Whilst weighted blankets might not be the answer to relaxation and sleep for every child with a sensory processing disorder, many parents with sensory kids have found them an enormous, almost miraculous, help. If you decide to use a weighted blanket, please always follow the manufacturer’s guidelines or consult a registered healthcare professional for advice on your child’s individual sensory needs. 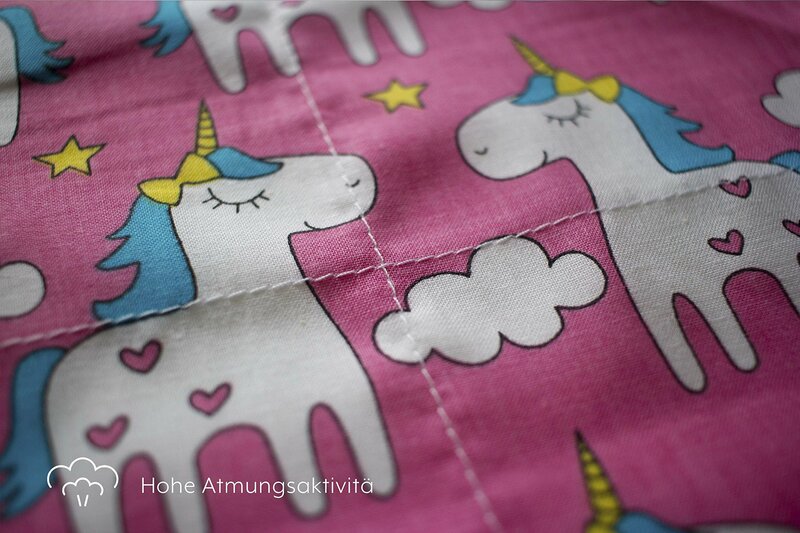 Previous Post: « Weighted Blankets For Restless Leg Syndrome: Do They Work?